Billing for a project that stretches over days, weeks, months, or sometimes even years is painful when the accounting software you’re using doesn’t connect individual invoices into one project or body of work. Recreating successive invoices takes precious time as you are required to reference old invoices and payments and decide what to bill next. 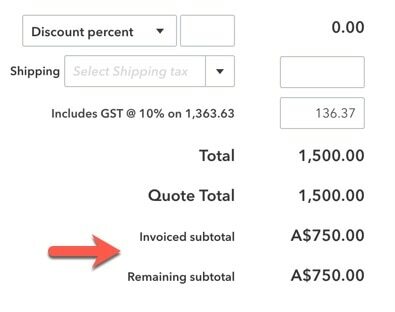 That’s why we are pleased to announce that we’ve launched several key enhancements to our quote to invoice process, available now for all customers of QuickBooks Online in Australia. You are now able to choose how much of a quote you would like to convert into an invoice either by % or amount, keep track of how much you have invoiced, and continue converting from the original quote until it has been fully invoiced. Progress invoicing can be kicked off from a quote, when creating an invoice, or from the transaction list in the Customer tab. Let’s take a look at how it works starting from a quote. 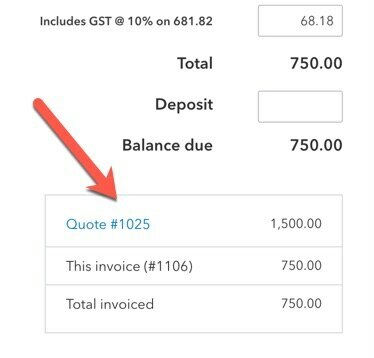 Once you have a saved quote open, choose Create Invoice in the upper right hand corner to convert it to an invoice. 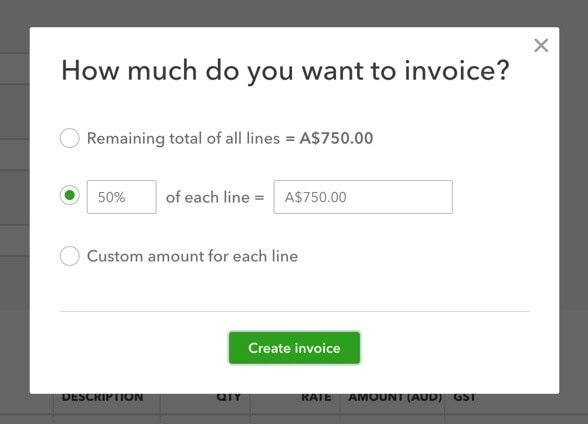 The option you choose will help shortcut your way into the invoice, but no matter which option you select, you can change it once you open the invoice. In the invoice, you will notice 2 new input columns, one determining the amount or percentage of the one item, and the second, the value of the quote you wish to invoice for. Each line item can be set however you like, and QuickBooks will automatically remember what portion has or has not been invoiced from the original quote once you have saved. After saving the invoice, you can easily see a quote summary down at the bottom detailing how much you have invoiced from the starting quote to date. From the Quote you can also see the invoices are linked to your original invoice. 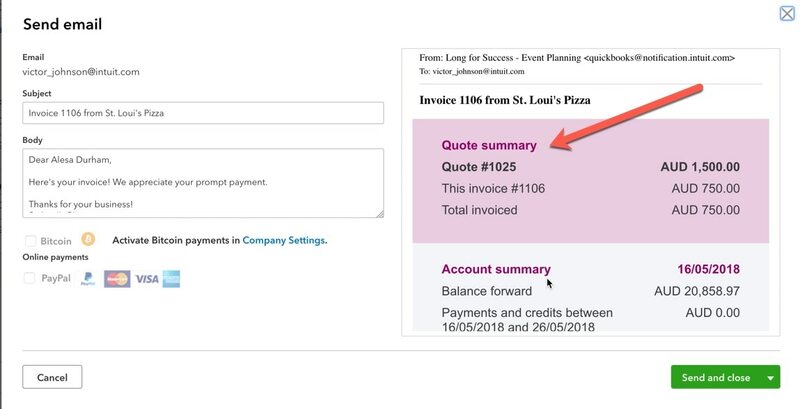 We’ve also added a new optional section on the redesigned invoice e-mail that will display a quote summary of what has been invoiced to date for your customers. For any issues, feedback, or help configuring the look and feel of your QuickBooks email invoice, feel free to contact our amazing Customer Success team.